With 546 finely appointed rooms, including 96 suites, the Hotel Captain Cook offers a multitude of options to meet your needs. Not to mention, over-the-top service and meticulous attention to detail. Find your home away from home. The Hotel Captain Cook offers rooms and suites to suit any and every traveler’s need. Please see below for general descriptions and amenities offered by room, or click the button below for featured promotions. The Hotel Captain Cook’s classic room is available with two double beds or one king. 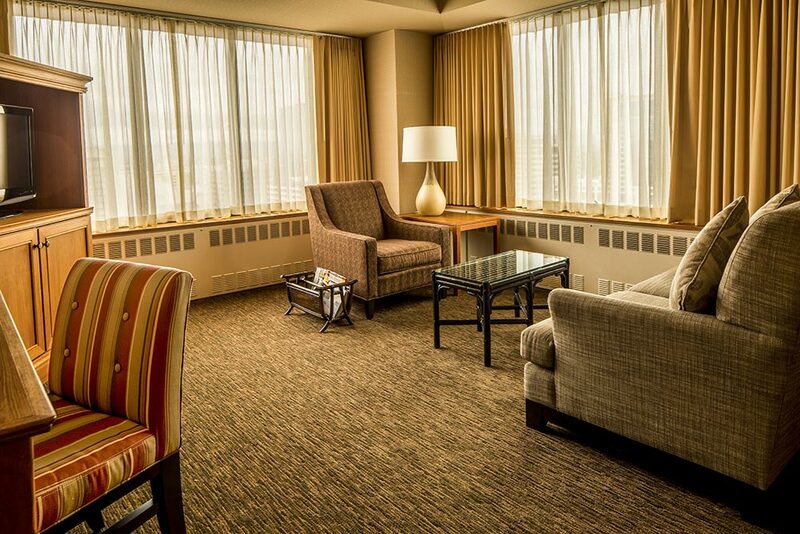 All deluxe rooms offer gorgeous views of downtown Anchorage, Cook Inlet or Chugach Mountains. Separate sleeping and living areas furnished with a sofa, desk and two televisions. Take advantage of the extra space and spread out and enjoy the views. All rooms offer views of downtown Anchorage, Cook Inlet or Chugach Mountains. One and two-bedroom suites spacious enough for families or large groups. Each suite offers a separate bedroom, living area and three bathrooms. Guests receive complimentary access to Athletic Clubs. Each room comes with a breakfast credit to be used in the Café. 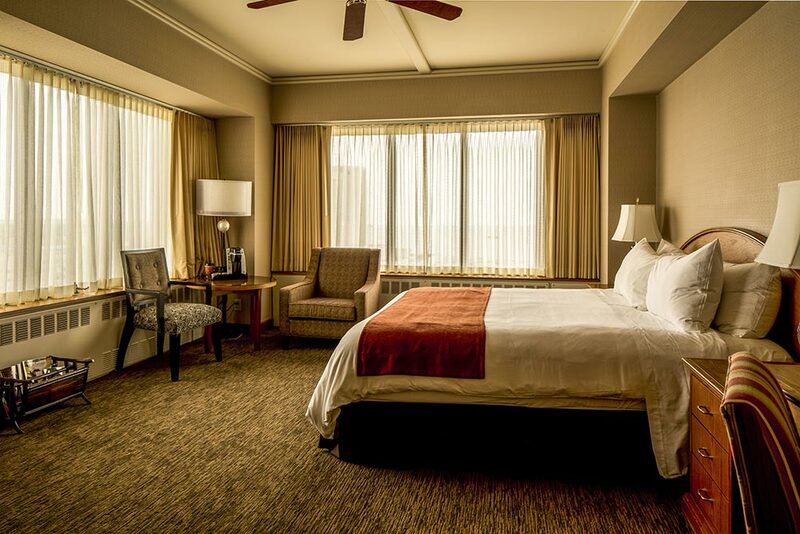 All rooms offer views of downtown Anchorage, Cook Inlet or Chugach Mountains. Rooms and suites on the sixteenth and seventeenth floors provide guests with secured entry, admittance to the Athletic Clubs and exclusive access to the Captain’s Deck lounge, which offers complimentary full, hot breakfast, around the clock refreshments and nightly wine and beer reception complete with appetizers for snacking. All rooms offer views of downtown Anchorage, Cook Inlet or Chugach Mountains. 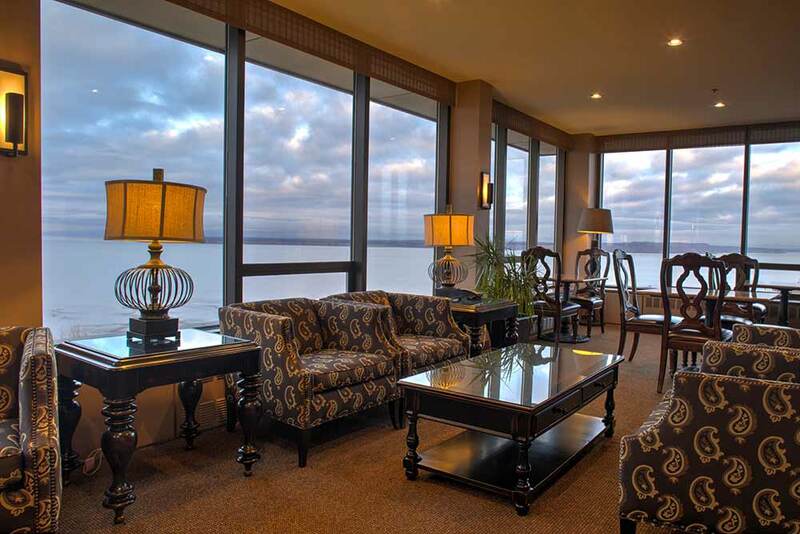 Perched atop Tower III, Crow’s Nest suites feature one and two-bedrooms in addition to a large parlor with amazing views of downtown Anchorage, Cook Inlet and Chugach Mountains. Enjoy the seclusion and luxury worthy of a traveling dignitary with a secured floor and exclusive access to the Captain’s Deck lounge, which offers complimentary full, hot breakfast, around the clock refreshments and nightly wine and beer reception complete with appetizers for snacking.